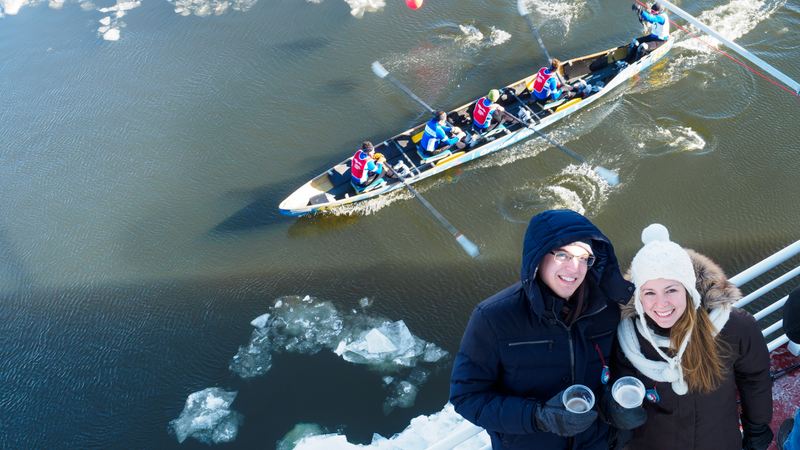 Follow the Canoe Race athletes and support them from up close—so close you'll hear them yell as they brave the ice and reach for the buoy that hangs from the ferry itself! · Access to the Quebec City—Lévis ferry while it's anchored in Quebec City. · Access to all three decks of the ferry, including an indoors heated area. · Festive atmosphere and free bar service. Doors open at 12:30 p.m., race starts at 13:00 p.m.